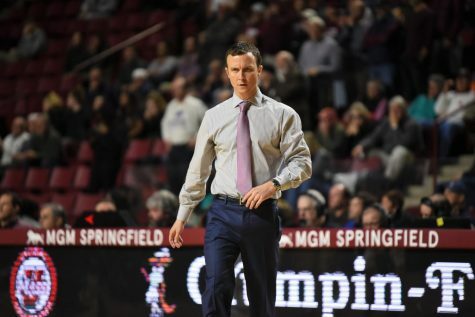 After suffering its most lopsided defeat of the season, the Massachusetts men’s basketball team hits the road for a must-win game against Atlantic 10 leader Temple. UMass (19-9, 8-6 A-10) currently sits in a tie for sixth place in the A-10 standings with Dayton. It trails Saint Joseph’s for fifth place by a half game, St. Bonaventure and Xavier for third place by a full game and Saint Louis and Temple by two and three games for second and first place, respectively. 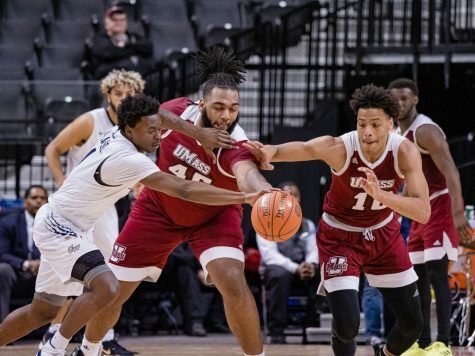 While the Minutemen find themselves on the outside looking in for a first-round by in the A-10, if they were to win-out, UMass would hold the tiebreaker against the Musketeers and Bonnies by way of head-to-head matchup. 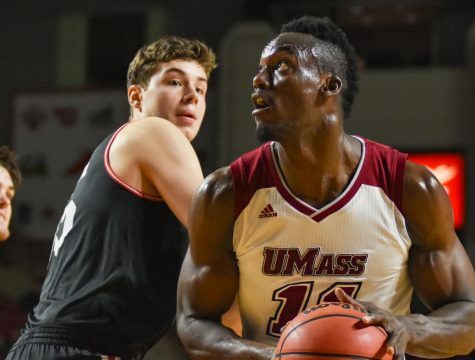 The Minutemen are coming off of a 76-43 loss to Dayton last Saturday. The 33-point margin of defeat surpassed the Nov. 26’s 24-point loss to Charleston as the worst loss of the season. 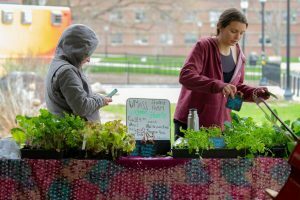 UMass was outscored by 27 points in the final 13 minutes, 50 seconds of the game, making just one field goal over that stretch. Sophomore guards Chaz Williams (15.8 points per game) and Jesse Morgan both shot miserably, as they went a combined 3-for-21 from the field. Williams, who had played arguably the best game of his career just one game before, shot 2-for-12 from the field and missed all seven 2-point shots he attempted. Meanwhile, Morgan’s slump has been more prolonged than Williams’. Over the past three games, he’s scored a total of 10 points, shot 4-for-24 from the field and missed all 11 3-point attempts. 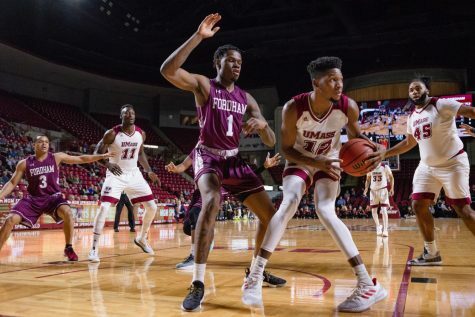 In addition, the Minutemen’s second leading scorer, Raphiael Putney (10.1 points per game), was a complete non-factor in the game.The 6-foot-9 forward played only 17 minutes – despite staying out of foul trouble – and scored just three points in the contest. 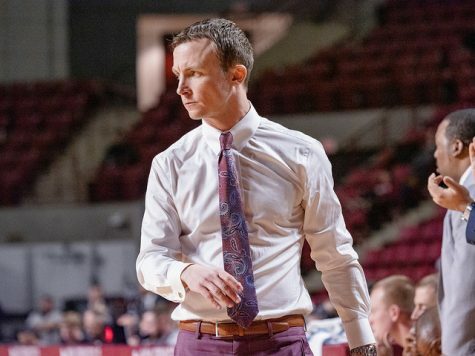 “Your main guys have to come to play and put some points on the board and play well,” said UMass coach Derek Kellogg. 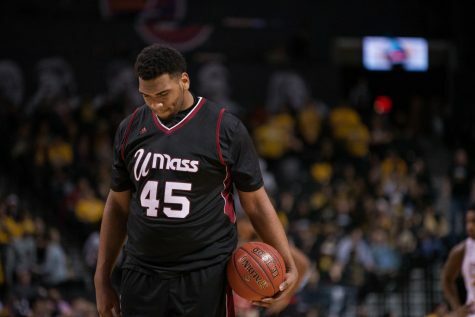 It won’t get any easier for UMass as it takes on the head of the pack in No. 23 Temple. 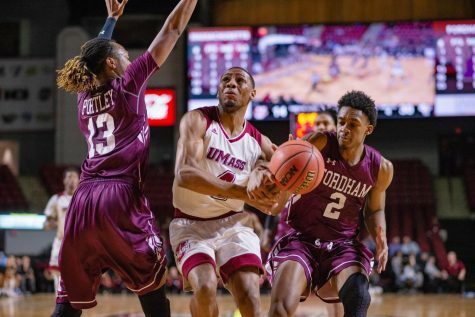 Kellogg stressed that in order for the Minutemen to play with the Owls (22-6, 11-2 A-10), everyone – not just Morgan, Putney and Williams – must be on their game. 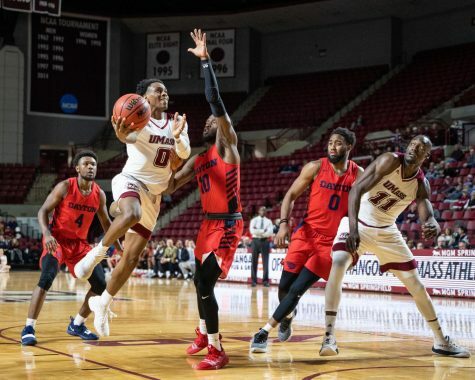 The Owls rely on a number of different players to provide offensively, but none more than guards Ramone Moore and Khalif Wyatt. 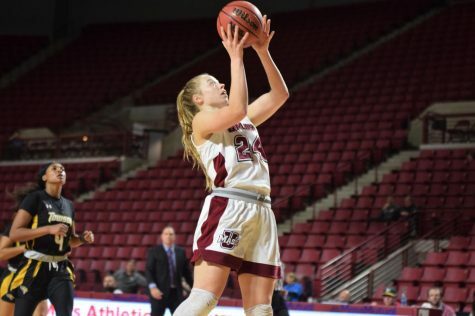 “They’re one of better scoring combos guards in the country, one’s averaging 18 [points per game], and one’s at 17, so I think you have got to pay special attention to both of them,” said Kellogg. Moore and Wyatt – both legitimate contenders for the A-10 Player of the Year award – lead the team in scoring with 18 and 17.1 points per game, respectively. Argentinian guard Juan Fernandez chips in 10.9 points per game, shooting the ball at an efficient 42.4 percent clip from 3-point range. “They’re really hard [to defend] because they have three of four primary ball handlers,” said Kellogg. Perhaps the biggest factor in Wednesday’s game will be 6-foot-11 Nigerian center Micheal Eric. The Owls are 10-1 since Eric returned from a foot injury on Jan. 21. “He gets them extra possessions on offense, he can score a little bit in the post and defensively he guards the rim,” said Kellogg of Eric. Over the past five games, Eric is averaging 8.5 points and 8.5 rebounds per game. Junior forward Rahlir Hollis-Jefferson also contributes 9.1 points per game. 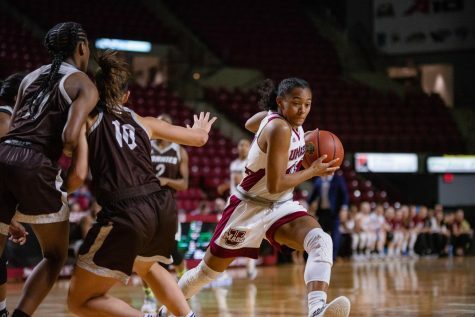 Temple is coming off of its sixth loss of the season, an 82-72 defeat in Saint Joseph’s on Saturday. The Owls were unable to contain the Hawks’ backcourt combination of Langston Galloway and Carl Jones. Galloway led all scorers with 22 points, while Jones added 18. Moore and Hollis-Jefferson scored 15 points apiece to pace Temple. 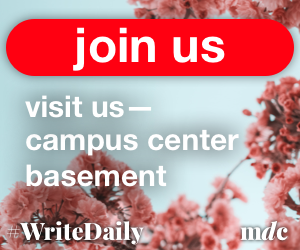 Wednesday’s game tips off at 7 p.m. at the Liacouras Center. “It’s a tough game,” said Kellogg. “They’ve got a big guy inside that can dominate and they have four really good wing guys.”.